For many years, I-66 inside-the-beltway (ITB) experienced extreme traffic congestion, especially during rush hours. To assess traffic congestion before implementing a solution, Weris used modeling and simulation to consider the entire I-66 ITB region, including regions adjacent to I-66 ITB. 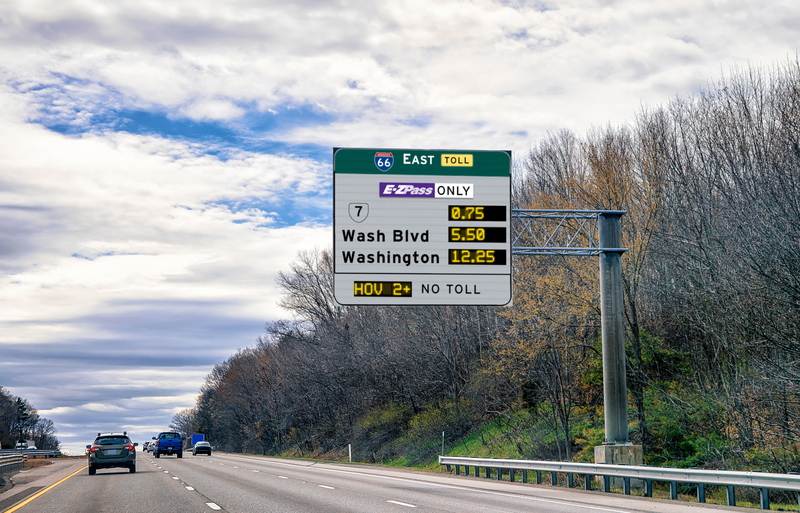 Once assessed, the challenge was to evaluate both the logic and effectiveness of a dynamic pricing algorithm for managing traffic on I-66 ITB in meeting performance targets while maximizing throughputs. Weris used full-demand and dynamic-traffic-assignment (DTA) modeling approaches to account for the dynamics of pricing or heterogeneity of traffic (e.g., in terms of time value); in addition, these approaches respect capacities on all parallel routes. Using such approaches, Weris was able to draw conclusions regarding the impact of dynamic pricing on I-66 ITB and alternate routes. Weris also adopted a DTA-simulation approach that was applied to simulate a driver’s route choice in response to congestion and other costs. The simulation-based DTA model requires that drivers follow a stochastic-route or path-selection algorithm to adjust their travel paths within a network in response to changing traffic conditions and travel costs. One key step of the modeling was to simulate how drivers make route-choice decisions based on toll-rate information communicated to drivers at key decision points. This route choice should be dynamic and influenced not only by the posted dynamic toll rates but also by the value of travel-time saving and improved travel-time reliability perceived by drivers. Weris accounted for both values in its simulation. Weris worked closely with the VDOT leadership team, TransCore (prime contractor), and other stakeholders, including VDOT GEC contractors, via workshops to review different operational scenarios and dynamic pricing strategies to maximize throughput and, at the same time, meet desired traffic speeds and level-of-service targets.